Told from Frank's perspective forty years after that fateful summer, Ordinary Grace is a brilliantly moving account of a boy standing at the door of his young manhood, trying to understand a world that seems to be falling apart around him. All the dying that summer began with the death of a child, a boy with golden hair and thick glasses, killed on the railroad tracks outside New Bremen, Minnesota, sliced into pieces by a thousand tons of steel speeding across the prairie toward South Dakota. His name was Bobby Cole. He was a sweet-looking kid and by that I mean he had eyes that seemed full of dreaming and he wore a half smile as if he was just about to understand something you'd spent an hour trying to explain. I should have known him better, been a better friend. He lived not far from my house and we were the same age. But he was two years behind me in school and might have been held back even more except for the kindness of certain teachers. He was a small kid, a simple child, no match at all for the diesel-fed drive of a Union Pacific locomotive. Ordinary Grace is an entertaining mystery with some rather emotional content at its heart. 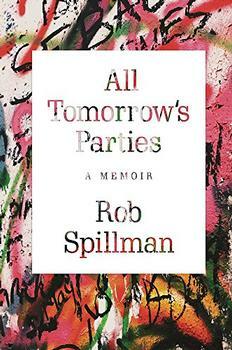 In addition to an engaging plot, the book is thought-provoking and, at times, quite poignant. Those looking for a character-driven mystery with content that goes beyond the standard police procedural will find this one worth perusing, and book clubs in particular will find the novel provides many topics for discussion. (Reviewed by Kim Kovacs). This coming-of-age story is obviously an attempt to show how grace can work through the fissures of suffering. While the setting is well rendered, the characters are too flat, and Krueger keeps striking the same monologist's meditative note throughout, while most readers will long for variety in style. The small-town milieu is rendered in picturesque detail, accurate down to period-appropriate TV programs, for what becomes a resonant tale of fury, guilt, and redemption. Starred Review. An award-winning author for his long-running Cork O' Connor series, Krueger aims higher and hits harder with a standalone novel that shares much with his other work...A novel that transforms narrator and reader alike. A pitch-perfect, wonderfully evocative examination of violent loss. In Frank Drum's journey away from the shores of childhood - a journey from which he can never return - we recognize the heartbreaking price of adulthood and it's 'wisdoms.' I loved this book. There was nothing ordinary about the grace with which this book was written. I would've happily continued reading as many pages as William Kent Krueger had written. It will be a while before another book measures up to this one. Don't miss it! 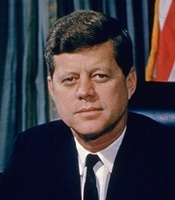 January 20: 43-year-old John F. Kennedy was sworn in as the 35th President of the United States, still the youngest person ever to hold the office. January 31: Ham the Astrochimp became the first primate launched into outer space. The Cameroon-born Ham (which is an acronym for the Holloman Aerospace Medical Center where Ham was prepped), was five years old at the time. He returned successfully to earth and retired to the National Zoo in Washington. He died in 1983 at the age of 26.